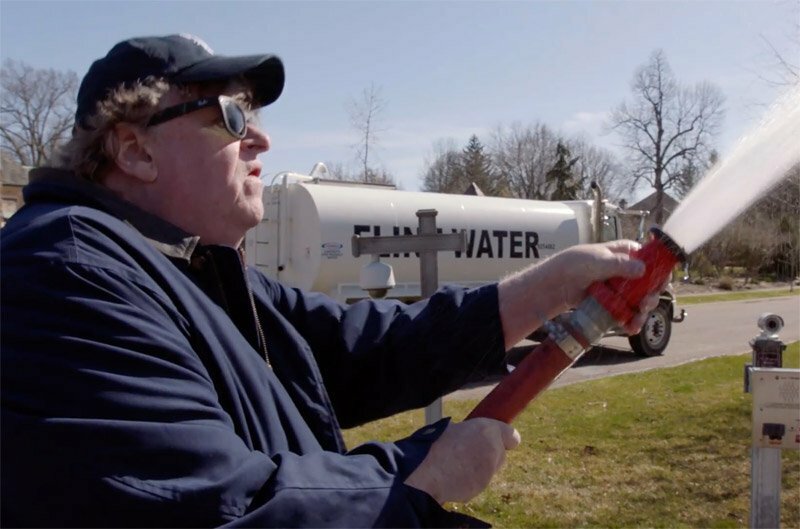 The Huffington Post has revealed the first full trailer for Michael Moore’s upcoming hot button documentary Fahrenheit 11/9, which focuses on the 2016 United States presidential election and the subsequent presidency of Donald Trump. Check out the Fahrenheit 11/9 trailer below, and check out the movie when it hits theaters on September 21! Michael Moore’s Fahrenheit 11/9 is a provocative and comedic look at the times in which we live. It will explore the two most important questions of the Trump Era: How the f**k did we get here, and how the f**k do we get out? It’s the film to see before it’s too late. Moore, an Academy Award-winning director, is helming the film. The “11/9” in the title refers to the day Donald Trump was declared President of the United States, at 2:29AM in the morning of November 9th, 2016. But months before that infamous night, Moore had already begun ruminating on what could be done to stop the, according to him, “carnage Trump would inflict while president.” In June of 2016, Michael Moore famously and publicly predicted that Trump would indeed win the White House in November by winning the states of Michigan, Wisconsin and Pennsylvania. Trump won the presidency by just 77,000 combined votes from those three states. Fahrenheit ‪11/9 will be presented with the mix of outrage and mischievous humor that has made Moore the most successful documentary filmmaker in the world. To make the Trump documentary, Moore has reunited with his acclaimed team from Fahrenheit ‪9/11 — Oscar-nominated documentary directors/producers Meghan O’Hara, Tia Lessin and Carl Deal. What do you think of the Fahrenheit 11/9 trailer? How do you feel about a Michael Moore-helmed Donald Trump documentary? Will you check it out in theaters? Let us know your thoughts in the comments below! The post Fahrenheit 11/9 Trailer for Michael Moore’s Trump Takedown appeared first on ComingSoon.net.